A crumble/cake hybrid resulting in the BEST dessert! 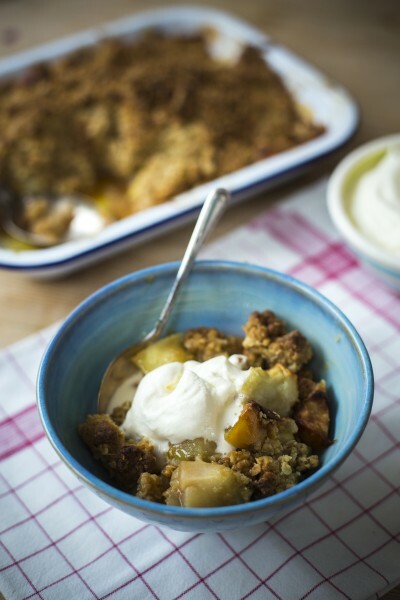 Apple crumble is one of my most favourite desserts of all time, I remember making it growing up and to this day still swoon at the smell of it coming out of the oven. 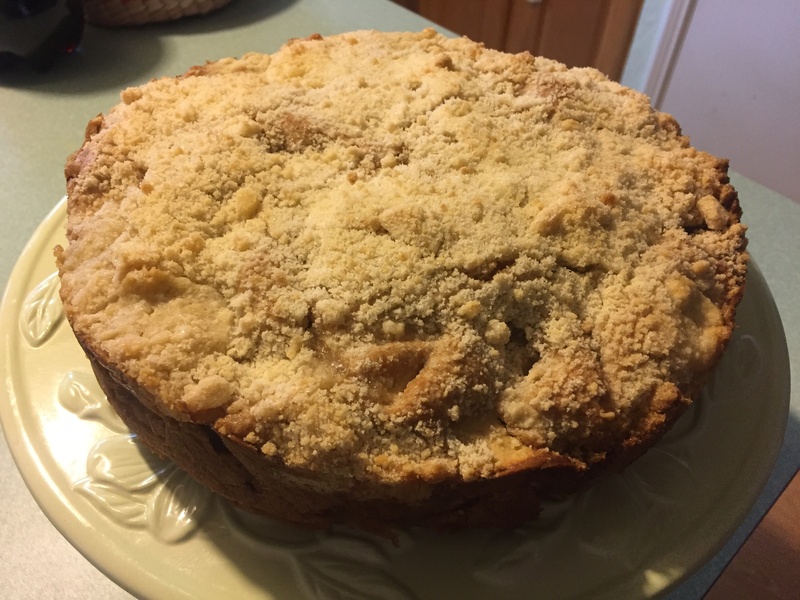 This Irish apple crumble cake is nice little twist on the classic with a moist apple cake interior and a light crumbly topping. That classic combination of apple and blackberries could also be used here. Preheat the oven to 180°C/350°F/Gas Mark 8. Grease and line a 20cm cake tin with a removable base. With an electric hand mixer, beat the butter and sugar in a large bowl until pale. Add the eggs, one at a time, mixing until they are incorporated. Using a handblender with a food processor attachment, blitz the ingredients for the crumble topping until you get left with rough crumbs. You can also do this by hand in a bowl using your fingertips to combine the ingredients together. Sprinkle the crumble topping on top of the batter. Bake in the oven for 40-45 minutes or until a skewer inserted into the centre comes out clean. Remove from the oven and leave to cool. It looks so yummy and crumbly. It must be heavenly with the caramel sauce!! Loved your video. Fantastic! The batter turns out incredibly light and the crumbly topping goes greatly) Thank you! 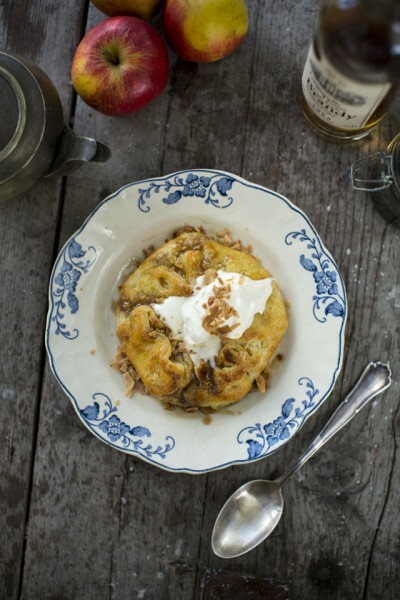 This recipe is now one of my favorites. You could always give it a go. It’s great with a scoop of vanilla ice-cream or whipped cream too! Absolutely scrummy, Donal! It was gobbled up by a group of friends in moments, each proclaiming loudly how tasty it was. Cake looked exactly like the one in the photo, except slightly shorter (larger pan). I didn’t have any salted caramel, but I added some flaky Maldon salt to the crumb before it went in the oven and drizzled with maple syrup before serving. Perfect. I’ll bet it would also be lovely with apple cider syrup. Delighted you liked it so much! Love the idea of the sea salt and syrup! Here's my pretty and delicious apple cake with home grown-apples. Ha! Thanks Georgina. 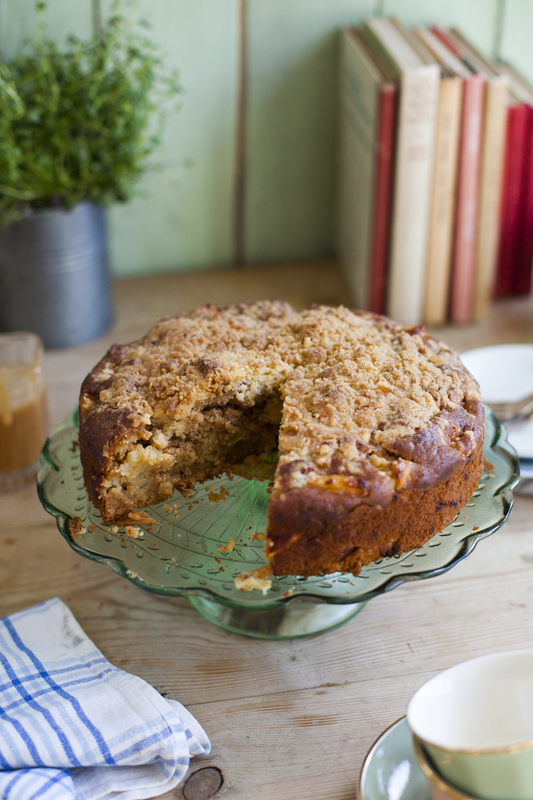 So glad you liked the Apple Crumble Cake! Let me know how the Coq au Vin Blanc goes down. I made this yesterday and it was so good I scoffed the whole thing and shall be baking another one today! Brilliant recipe and dead simple to do. Well the second attempt was even better. So much so I took it to work, where I share an office with a group of women who love their cake! Rave reviews all round! You know its a hit when nobody’s talking because they’re all too busy eating! Good man Steve! Well impressed that you made it twice! I am interested in the sauce you put over it. What was it and do you have a recipe for it? 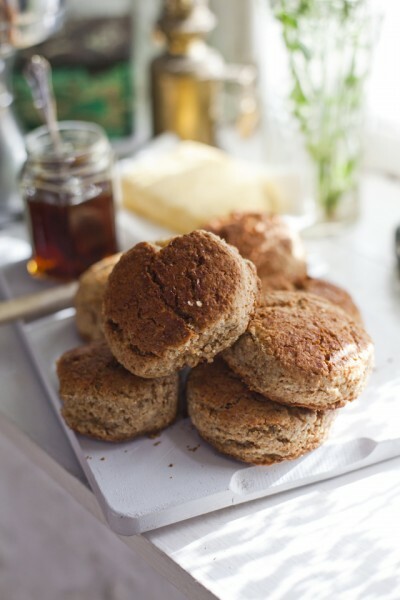 Its in the oven – I used brown cane sugar as I am no the best at baking – do you think it will be ok? That will work no problem! I agree! I made it today, but am waiting to see if my “gestimates” were close enough. I made this for my family and colleague and they LOVED IT!! thanks for the great recipe!! I’ve made this twice now and I’m sure the crumble quantities are wrong. Did it by hand as per the video and with the processor as per the instructions and neither time did I get crumble but a big squshy cookie batter mix. I just added more flour until it bacame crumble. Didn’t get to taste the first one as it was a gift. Hoping to get a taste this time. This is my first time make Irish apple crumble cake. So amazing! Thanks for a perfect recipe. Haha! Glad you liked them! I’m sure it would work no problem. Fresh or frozen cherries would work nicely and just use the same amount as the apples. What i The cream on The cake at The begining of The video ? 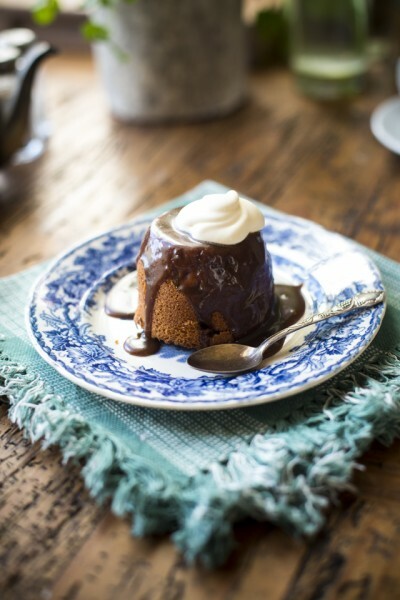 It’s salted caramel sauce – recipe on my website too! Made your Irish Apple crumble cake at 2AM yesterday, it came out perfect! I was so thrilled, couldn’t resist having a piece immediately! Thanks for the gorgeous recipe! Hi there! Thanks for stopping by. Cake looks great! Hope you liked it. Cheers, Donal! I would love a recipe in cups instead of grams. I tried making this and I’m not sure my conversions were correct. Fingers crossed for when I take it out of the oven.